Five years ago the release of DMC: Devil May Cry wasn’t exactly well met, publically that is anyway. The Dante fans had got used to had changed, and some people weren’t happy. Critically, the game was well received, high scores pretty much all around and the game kept the signature gameplay that the series is known for. In fact, even Hideaki Itsuno (Director of Devil May Cry 3 and 4) loved the game. Still, this isn’t a continuation of that game. 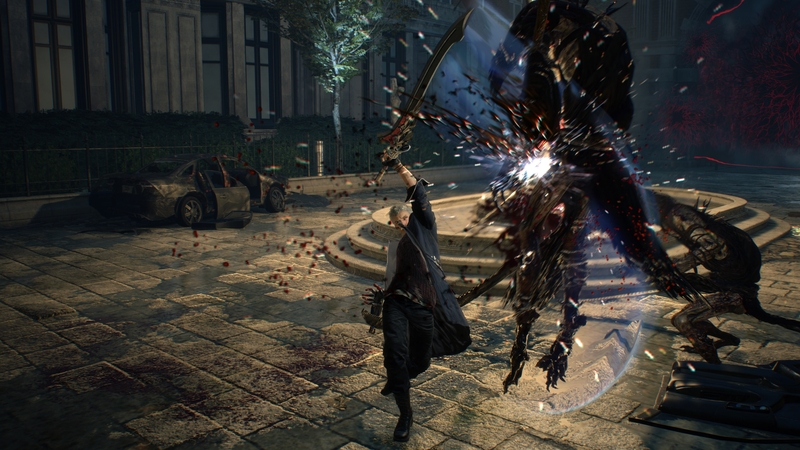 Devil May Cry 5, as one would expect from the name, continues where Devil May Cry 4 left off ten years ago. Now being developed in-house by Capcom, rather than using a third-party developer like DMC’s developer, Ninja Theory, this feels much like a return to familiar roots for the series. There are differences, but a lot feels the same. In the demo I got to play at Gamescom I found myself in the returning shoes of Nero. Only this is a more developed Nero, and a little changed. I say a little changed, he’s lost an arm, which has now been replaced by an interchangeable, demonic, robot arm. No longer using Devil Bringer as he did in Devil May Cry 4, we now have Devil Breaker. Within this Devil May Cry 5 demo, I encountered two versions of the Devil Breaker model. Strangely, these were strewn across the landscape, as if a demonic-prosthetic-arm factory had been blown up. Maybe there’s a number of armless demon-hunters going around? I digress. The most interesting thing about these Devil Breakers is that, seemingly from the demo, you can carry up to a maximum of four of each Devil Breaker. Each of these also has a unique single-use special attack called Break Age in addition to a regular function. Naturally, this breaks the Devil Breaker that you currently have equipped. It actually adds an extra spin onto the combat within the game and can help to get you out of tricky situations. When I asked a member of the Capcom team, I was told that there will be eight of these standard Devil Breakers in the game, each with their unique abilities. As for regular combat, it’s much as you would expect. You’re given the choice between auto-assist or classic mode. If you want that bit more fluidity and freedom, you will naturally gravitate towards classic mode. Auto-assist is handy, there’s little doubt about that. The combos are simple but effective. It still looks flashy and attractive, but there’s little more satisfying than stringing together your own combinations. Particularly so as you will be able to chain many more attacks. You’ll find yourself dashing through the air to keep on top of a huge monster, pummelling them into the ground. This is also where the new Devil Breakers come into play. Of the two I got to use in combat during the demo, one was a sort of energy blast, it also took on a different form depending on if you were in the air or on the ground when using it. Of course, you still have access to series staples of guns and a sword. In addition, the ability to grapple and pull an enemy towards you or yourself towards an enemy. Chaining everything together will be the key to a successful battle and also achieving a high rank in any particular battle. What will be the most interesting aspect is just how many devil breakers you find in a level of Devil May Cry 5. If the demo is anything to go by, I had an abundance at my disposal. However, much like with the grenade launcher ammo in Resident Evil 2 Remake, it’s possible that there were extra placed for the purpose of the demo. It could also be that I didn’t actually feel the need to use the Break Age on regular demons. The boss battle that ended the demo was with Goliath. Needless to say, he was a towering behemoth that any regular person would run and hide from. Nero, in all his wisdom, decided to try out his comedy chops and antagonise the demon. The battle itself took part, to start with, on the roof of a building, then within the building and finally in a huge open plaza. The changes were seamless and awe-inspiring as Goliath made short work of anything around him. Anything bar Nero of course. The biggest takeaway from the combat is that it’s just as fast-paced, engaging and a great spectacle as it has ever been. It’s only made all that more impressive by the simply astounding aesthetics within the game. 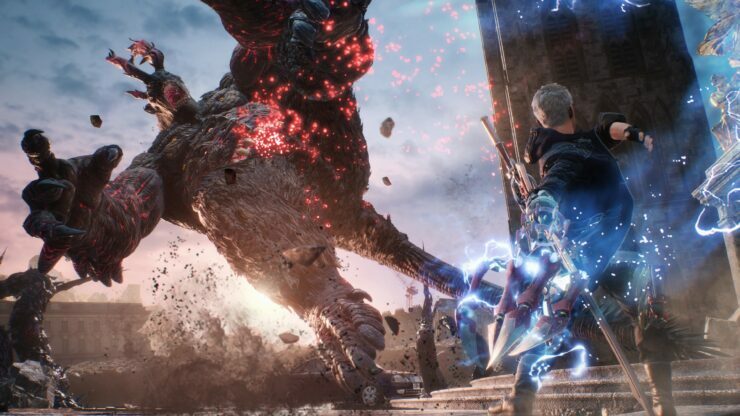 Using the REngine, Devil May Cry 5 looks fantastic, every demon showing little details like goo dripping from them, horrible pulsating veins and more. In addition to the visuals, the music is also fun and engaging. It ramps up in intensity depending on your actions in battle, with your increased rank also bringing in an increase in the audio. It’s a fun system that helps you keep track of your combat score. None of this should come as a huge surprise to anybody familiar to the series though. Adding to the great music is strong audio from the characters, monsters and the effects of battle. Everything just has that bit more weight to it. Of course, one level isn’t exactly a great judge of a full title. From what I have seen, this is a great return to the Devil May Cry franchise. It looks, sounds and plays great. What more could you ask for? 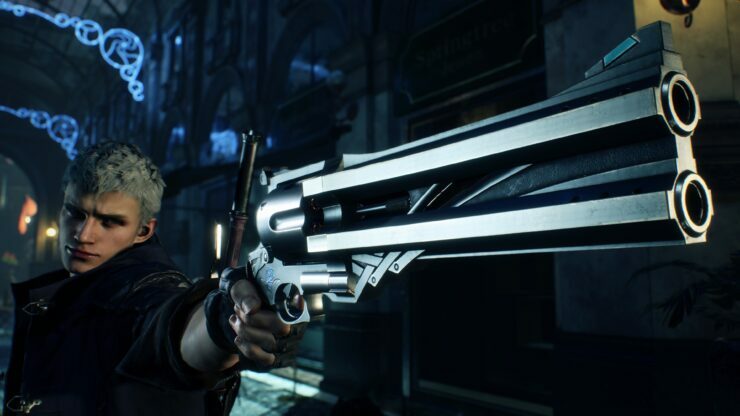 You can look out for Devil May Cry 5 on the PC, PlayStation 4 and Xbox One on March 8th, 2019.